Pickup from Cochin airport/ railway station .Proceed for the green hills of Munnar. approx. 110 kms. On arrival check in at the hotel. Evening is free for relaxation. Overnight at the hotel. Today proceed for a local sightseeing, visit the beautiful Mattupetty lake and Dam, Kundla Dam, Echo Point and Top Station to enjoy the scenery. Evening is free for shopping. 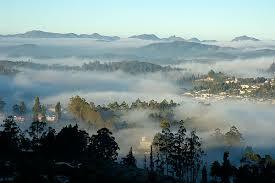 Overnight stay in Munnar. Optional: Visit to Kullukumalai Tea Factory can be arranged by a local Jeep at an additional cost of Rs.2,250 per jeep with capacity of 5 persons in total. Entrance per person will be charged Rs. 100/- which client has to pay at the time of entering factory. Morning after breakfast depart for Ooty. 250 Kms – 8 Hrs. On arrival transfer to hotel and check in at the hotel. Overnight at the hotel. Morning depart for Bandipur. 135 Kms – 3 Hrs. On arriva lcheck inn at hotel. Later visit the Brindavan garden to withness the musical fountain show. Evening will be at your leisure or free for shopping. Overnight at the hotel. Morning depart for half-day excursion to Srirangapatanam and visit Palace of Tipu sultan. Later in the afternoon visit the local sights in Mysore visiting the Mysore Palace, Chamundi Hill & the church. Afternoon depart for Bangalore approx. 140 Kms – 3 Hrs. Check in at the hotel. If time permitted you can visit Bangalore local sightseeing includes the Cubon Park, Lalbaug, Bull Temple, Vidhan Soudha & High Court, Evening will be at your leisure. Overnight at the hotel.